So, according to Lucas, changes in tastes and technologies should be able to explain the main fluctuations in e.g. unemployment that we have seen during the last six or seven decades. 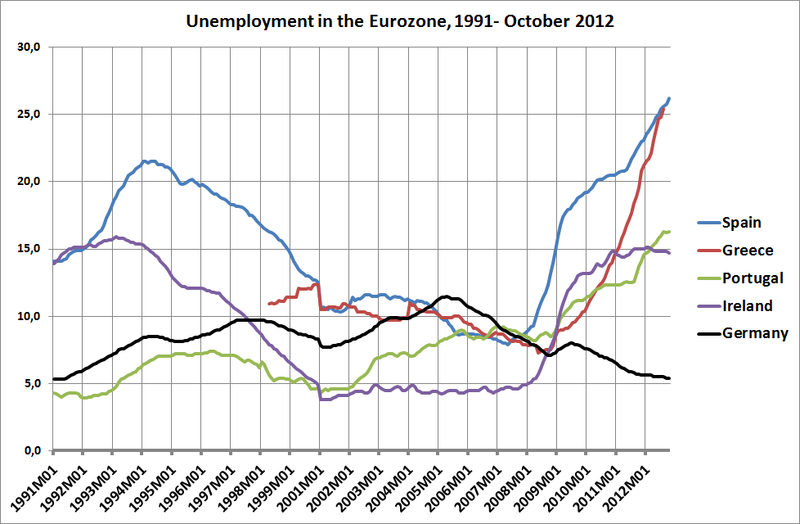 What shocks to tastes and technologies drove the unemployment rate up and down like this in these countries? Not even a Nobel laureate could in his wildest imagination come up with any warranted and justified explanation solely based on changes in tastes and technologies. Lucas is just making himself ridiculous. The funny things is that the evidence they refer to is related to TFP, and other measures coming from the production function. Jesus Felipe has debunked these results, particularly for the case of Asia, showing that TFP is actually not productivity, but the weighted average of the rate of growth of wages and profits (by definition coming from National Accounts). The degree of ignorance among ‘top’ economists, including the one that have won the Sveriges Riksbank Prize, is amazing. ”The difficulty lies not so much in developing new ideas as in escaping from old ones”. Lucas is strange. He is a mix of brilliant maverick status quo thinker blended with total nonsense. Go figure! No, I forgot nothing of the kind, and I still fail to see what the added part would contribute to Lucas’ main argument. Can’t there be real shocks beyond tastes & technology? Like policy changes or natural disasters, to pick some obvious examples? I should note that as a layman, I don’t see RBC as that relevant for cyclical downturns. Real science is, at least for me, to (realistically) critically and holistically challenge basic assumptions – over and over again and never ever present findings as a dogma. Further, in real science you don’t use words as ”believe” or, for commonsense reasons, ”convinced”.